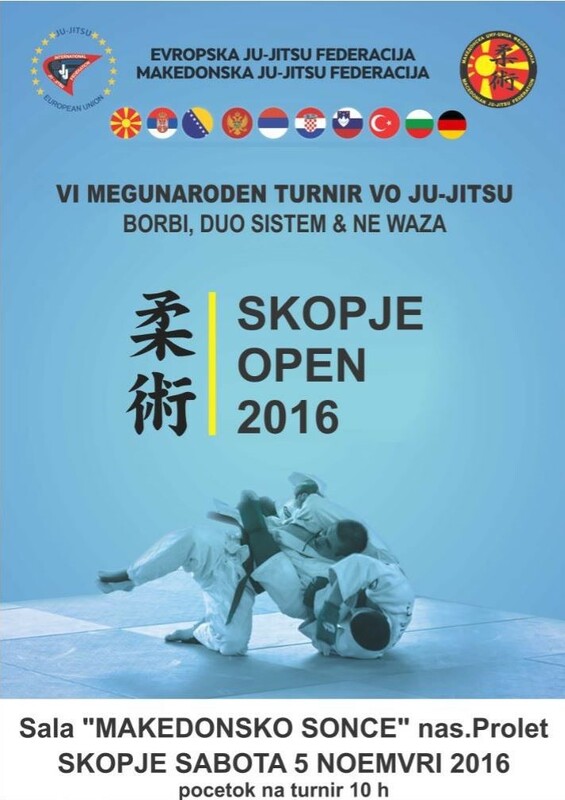 Please find attached tournament invitation for Ju-Jitsu fighting, duo system & Ne waza event “SKOPJE OPEN 2016”. The tournament will be organized by MACEDONIAN JU-JITSU FEDERATION and will take place on November 5th 2016 in Skopje. Your registration is expected up to October 31st 2016.